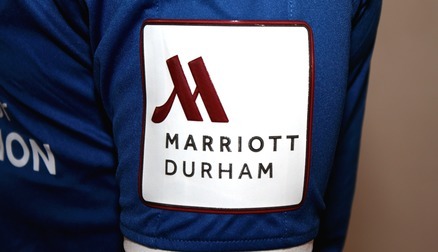 ​Durham Women FC are delighted to announce a partnership with leading global brand, Marriott Hotels and Lesiure – which will see the Marriott Durham Hotel become a key club partner. The Wildcats have agreed a statement sponsorship deal with the hotel which will see their logo displayed on the sleeves of the first team playing kit for the 2018/19 season. In addition, players have access to the wide range of world class facilities available at their city centre hotel – including a swimming pool, cold plunge pool, spa and sauna and comprehensive gym facilities. Such facilities will prove vital for player welfare and recovery as Durham look to continue pushing for promotion from the FA Women’s Championship. Fans are also able to secure a reduced room rate at the hotel – something which will prove beneficial for travelling supporters coming to New Ferens Park. The ground-breaking partnership will see Durham Women secure a first-ever shirt sleeve sponsor, while also aligning the progressive club with a high-profile brand. 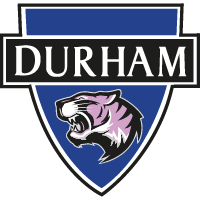 Marriott Hotels will now join the Wildcats’ other valued club partners – Team Durham, Durham University, Durham Sixth Form Centre and Vision for Education. Captain Sarah Wilson has already felt the benefits of the partnership and is delighted to see the club continue its commitment to providing players with the best resources possible. “It’s brilliant and it makes a massive difference to our recovery now,” she said. Roshann Thomas, Leisure Club Manager at the Durham Marriott Hotel, explained the benefits of the partnership to the Durham players. “The girls are in on a Monday night and do a couple of hours with us,” she explained. Sean Bent of Durham Marriott Hotel was also pleased to partner up the Wildcats. He added: “It’s a great privilege for us. “The girls can come down and use our facilities and are doing exceptionally well in the league this year. Fans wishing to secure a discounted rate on rooms at the hotel can do so by calling the Durham Marriott’s reservations team on 0191 386 6821 -option 4 - and quoting the code LBDA. The discount comes off the hotel’s best available room rate and is subject to availability. Watch the video above for a glimpse of the facilities available at the Durham Marriott Hotel and to hear further reaction from both parties to the partnership agreement.